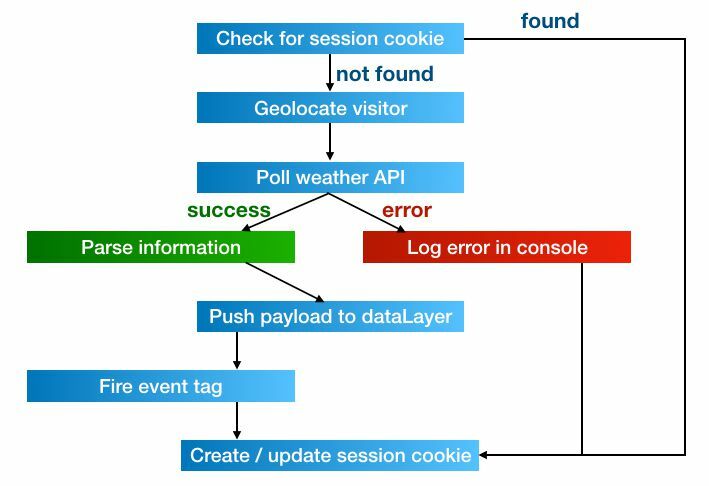 In 2013, I wrote a guide for Universal Analytics and Google Tag Manager on how to poll for weather conditions, and send this information to Google Analytics as a custom dimension of the session. The guide was intended as a technical introduction to Google Tag Manager, and I think it succeeded in that. However, GTM has changed a lot over the last 1.5 years, and I’ve made some improvements to the method along the way.